Personalmente me gusta combinarlo con prendas de punto, camisas blancas, abrigos o capas en tonos tierra. Si quieres llevar el denim en un total look apuesta por mezclar diferentes tonalidades y saldrás ganando. No te pierdas las siguientes fotos de street style que he tomado de Pinterest (CarolinaToledo Blog), te llenarás de inspiración. Muchas gracias por vuestros comentarios y visitas. Hi girls! Today I want to tell you about the denim trend. Jeans and denim shirts are basic clothes in our closets and we wear them every season. In the following photos you can get denim inspiration for your daily outfits. Personally I like to wear denim with knitted sweaters, white shirts and capes or coats. 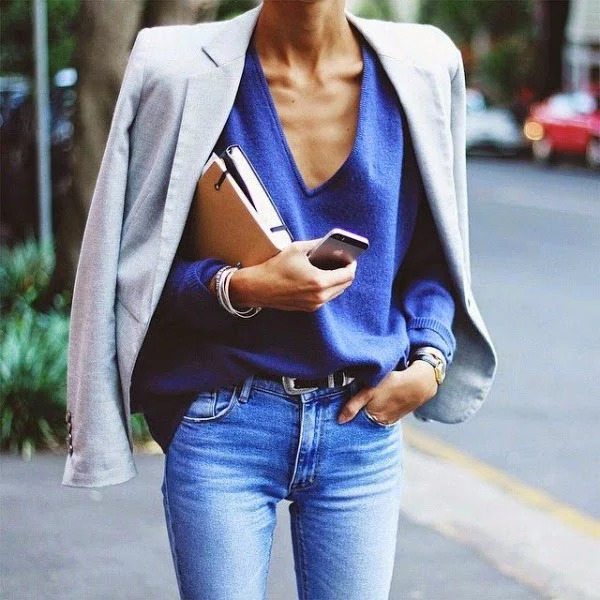 If you want to wear a total denim look, the secret is to combine different colors. I got the following pics from Pinterest (CarolinaToledo Blog), so ¡take a break and enjoy denim inspiration!. Thank you so much for your comments and visits.